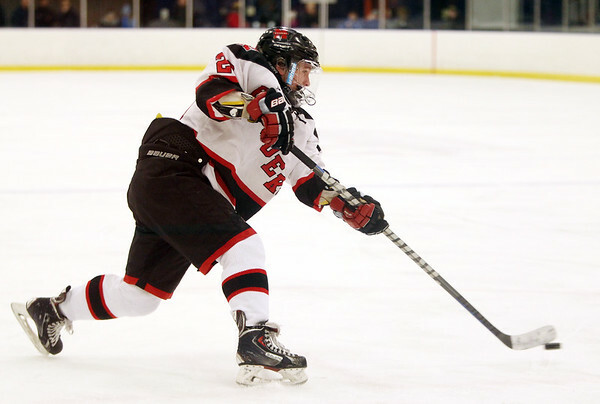 Marblehead sophomore winger Braden Haley (23) fires a wrist shot on net during the third period of play at the Rockett Arena at Salem State University on Saturday afternoon. DAVID LE/Staff photo. 1/17/15.